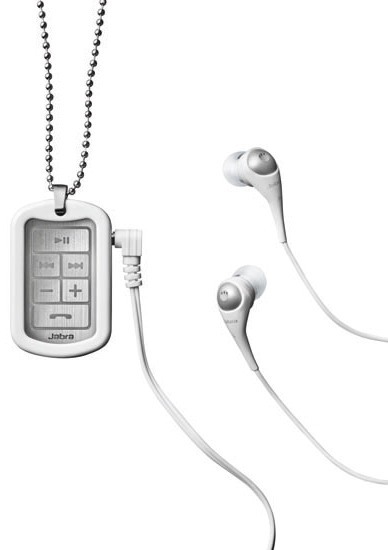 Jabra has launched a new stylish pendant like Bluetooth headset called the Jabra STREET2. It is available in black and white color and has an urban dog-tag design that’s splash proof and can be used in light rain. You can wear it like a pendant with the beaded chain or use the removable clip at the rear to attach it on your outfit, bag etc. The headset can auto-pair with your phone and music playing device wirelessly within 10 meter range. It also features AM3D power bass & virtual surround sound which delivers a clear and deep bass sound effect coupled with more rich and spatial music experience. The Jabra STREET2 comes bundled with high-performance earphones and noise-blocking ear-buds. You can use any other standard 3.5 mm universal audio jack headphones as well. Jabra has also announced a Facebook contest in which you can participate, answer simple questions about the Jabra STREET2 and stand a chance to win five units of STREET2 by visiting Jabra India’s page over here. The cost of the headset is Rs 3,799 and it comes with one year of local warranty.